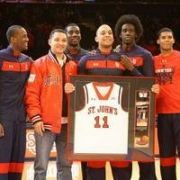 I know Heron didn't play, but awful performance by St John's at MSG. Destroyed by mediocre Providence team. Agree. It will kill us. But all the losses since then have hurt more. Predict this team ends up 7 - 11 in conference. Its not about Owens and Dixon not being here. It's about the players that are here. And they're just not good enough, especially with this staff leading them. Knight wrote: Coach is responsible for team not be ready or enthusiastic. Listen I’m not happy with the job mullin is doing but at some point these guys gotta come out and play hard in a game where their backs aren’t against the wall. First and foremost, the blame is on the players. Clark has become a 10 PPG who shoots 40% from the field. Also, his 3P ability has completely fallen apart (2-8 Villanova, 1-7 DePaul, 2-9 G'town, 0-4 Marquette, 0-4 Providence). Simon, I don't even know where to begin. Simon has regressed in every possible way this year. Scoring less (10.1 vs. 12.2), rebounding less (4.8 vs. 7.1), less assists (3.5 vs. 5.1), less steals (1.3 vs. 2.5). His running floaters could be one of the most painful things for me to watch. And his shooting ability? Mother of God. Also, just to reiterate what other posters are saying... how does your center get zero rebounds in 20 minutes? That is dreadful by Keita. But again, I'll say the same thing. I don't know how the coaching staff is not able to get these kids motivated. 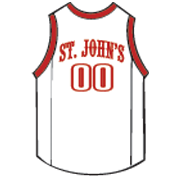 Watching that first half, I knew St. John's was going to lose that game because it was Georgetown all over again. They were going through the motions, just expecting to turn it on at some point. Why can't the coaching staff notice this and actually do something about it? It just doesn't make sense to me that effort and intensity continues to be a problem. The effort issue is puzzling. During Mullin's first three years the team was not very good, however, they seemed to play hard for 40 minutes every game. I don't know if they were self motivated, but whatever the reason it is missing at times this year. I believe it is on the staff to ensure that players play hard and if they do not they sit. Not making excuses, but offering this explanation. It has to wear on these guys to constantly be defending and fighting for rebounds with bigger and stronger athletes. The bench is small at 6'2, then 6'4, and Keita at 6'8 who is still moving without fluidity. The second half looked like a schoolyard game where the young kids were chased off the court by the older and much taller and more athletic kids. We have enough mismatches to deal with even without the constant switching. Georgetown and Providence each have 2 or 3 bigs that are much more athletic than our bigs. Having 2 superior athletes in Simon and Heron can't make up for the size differential. It's basketball, and size counts for a lot. 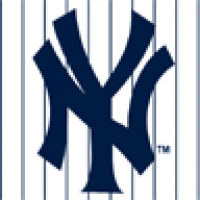 The guys just looked worn down by an entire season of this. Relief is coming next year with Steere and maybe Manuel, and a healthier Keita, but we needed that size this season. Yesterday's game was a great example of how many ways SJU's reliance on an almost non existent bench can affect both team strategy and eventually end up with a loss. 2 Foul trouble or injury ( Heron ) can have an overwhelming effect on the game. SJU has been very lucky only losing Ponds and Heron for one game each so far this year. Losing Dixon contributed to this situation but was it worth having Caraher for next year instead of a body that could contribute this year?